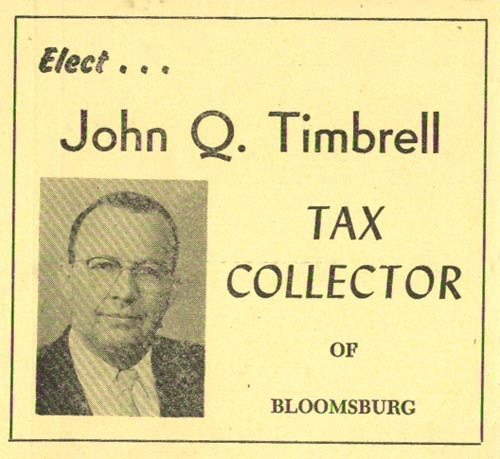 Elect... John Q. Timbrell, Tax Collector of Bloomsburg. Are you looking for TIMBRELL ancestors? If so, we suggest posting a query to our Community Message Board to get assistance from other researchers.